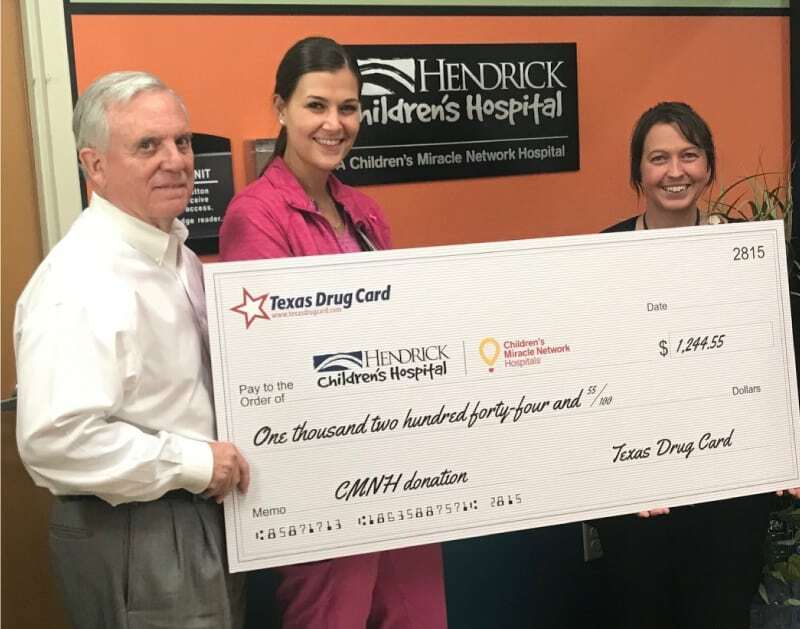 On Wednesday, July 25, 2018 Texas Drug Card met with Melinda Blay – CMN Specialist, Norm Archibald – Vice President/Chief Development Officer, Susie Castle – Chief Nursing Officer, and the nursing staff with Hendrick Children’s Hospital in Abiline, Texas. Melinda took us on a hospital tour and we were able to see first hand how this hospital helps children and teens feel comfortable while in the hospital. They have play rooms, an Xbox room, a movie room, billiard and dart room. Along with lots of toys, jungle gyms, and book rooms. Each room in the children’s wing is decorated entirely and modeled after a different Berenstain Bear book, so each room door has a different book cover and the decorations on the inside of the room are all from the interior graphics of that specific book. Melinda walked the Texas Drug Card team through the entire children’s wing and showed us the design, layout, machinery, and views of their beautiful hospital. Currently they are working on enclosing their children’s breezeway event and play area. This donation is going to help them with this next project. A donation will continue to be made to your local CMN hospital each time a prescription is processed using the Texas Drug Card. Since 2015, the United Networks of America partnership with Children’s Miracle Network Hospitals has raised over $2.4 million dollars for local children’s hospitals. Of this, $1,244.55 has been raised for Hendrick Children’s Hospital. The 20-bed Hendrick Children’s Hospital, and its three-bed Pediatric Intensive Care Unit, are a new and vital part of Hendrick Medical Center. Hendrick Children’s Hospital is located in the Jones Building and was designed specifically for the comfort of children and their families. Their staff is highly skilled and specially trained to provide care for children of all ages. Hendrick Children’s Hospital pediatric nurses provide this care with open arms, providing every child with warmth and love as they administer highly-skilled, age-specific care. While they are equipped, trained and use state-of-the-art technology in the care of our children, the love and psychological wellbeing of the child is always one of their primary concerns.